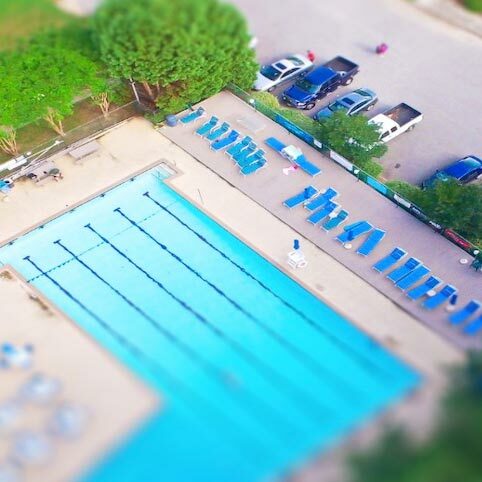 How do I link our social media accounts to our new Pool Dues website? 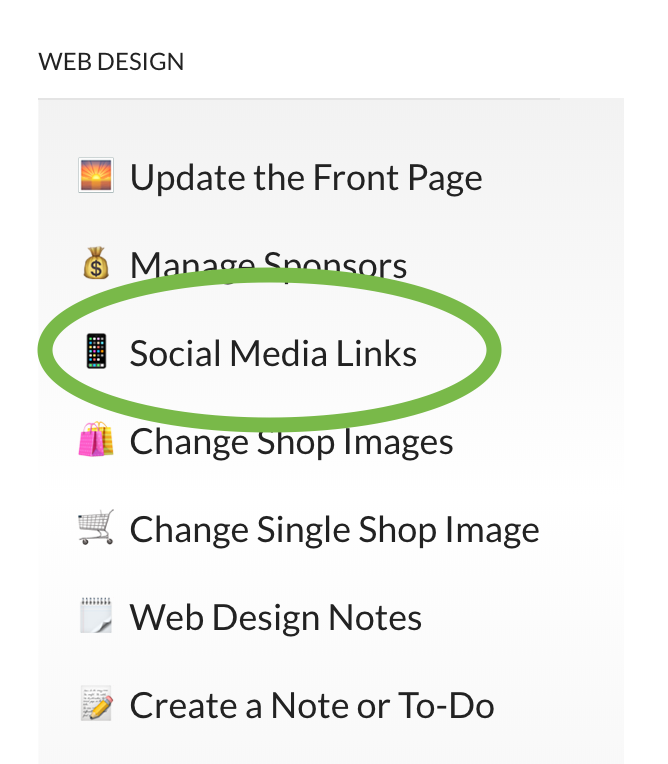 Social media accounts can be input via the Web Design Board Member Dashboard. 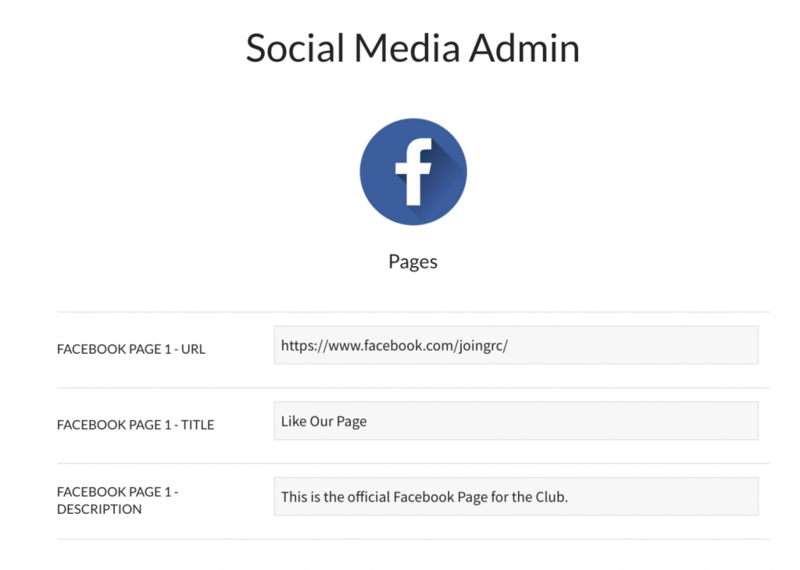 For each type of social media, you can input the link to your club’s page, and whatever text you want to be shown with the link. 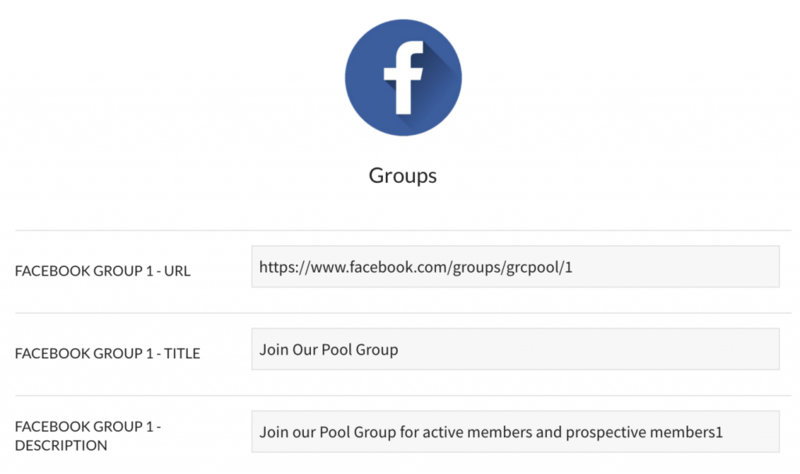 You can have 3 different Facebook pages, 3 Facebook groups, 3 Twitter accounts, 3 Instagram accounts, and 3 other miscellaneous accounts like a YouTube channel, a Snapchat account, a Pinterest account, or any other type of social media account. 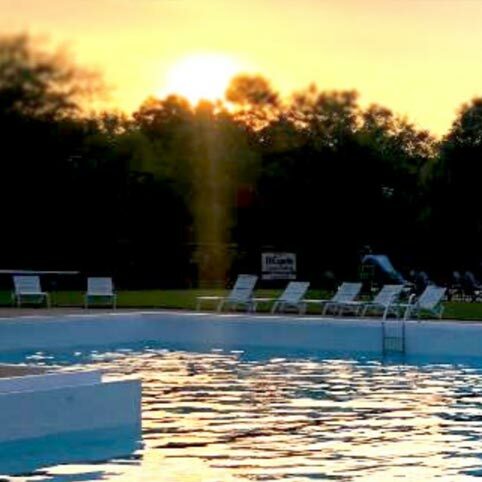 How do I post news about an upcoming social event? Easy! You can create a new event from your Board Member Dashboard. When you click on Create Event, you can input all the relevant information. Name the event, write the details, upload a cool pic. If you leave the “Headline Link” field blank, the headline will automatically link to your club’s Recent News page. 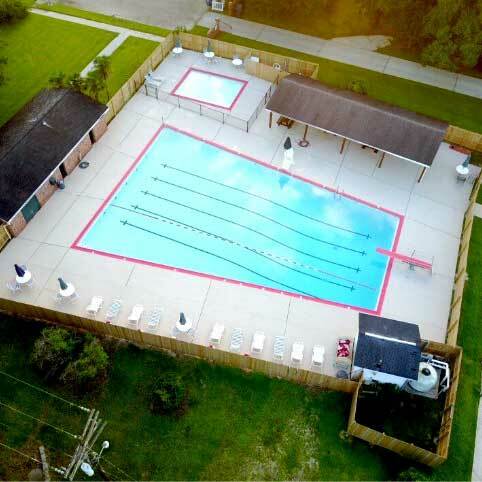 After inputting the relevant information, you have a few other options. You can link a video for the event if you have one. You can decide how to categorize (and thus display) the event. You can also decide whether or not to hide the event from non-members. 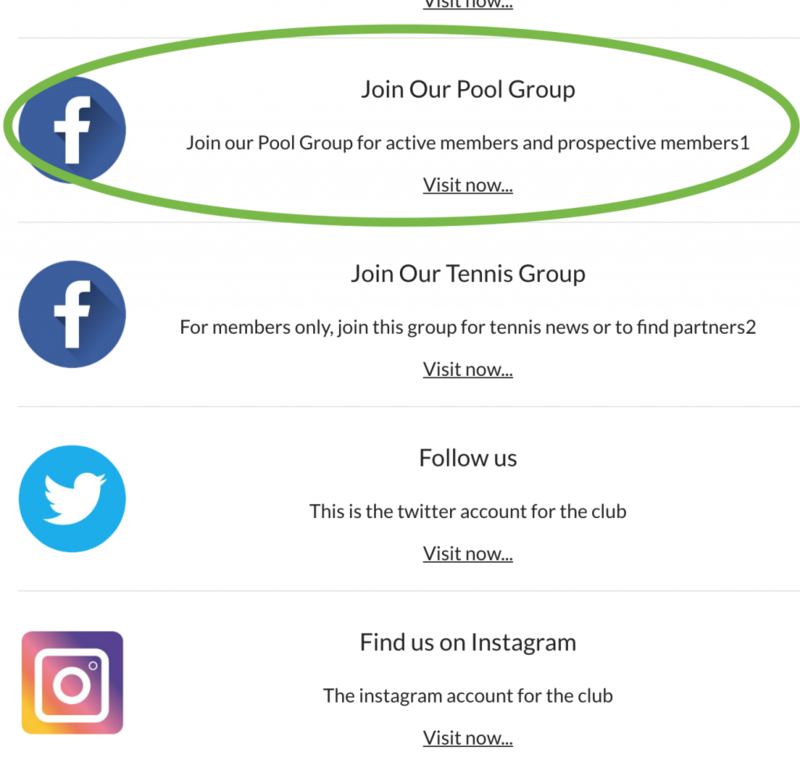 As you can see in the example below, prospective members are always curious about social events at the club, so you this option sparingly if you’re looking for new members. 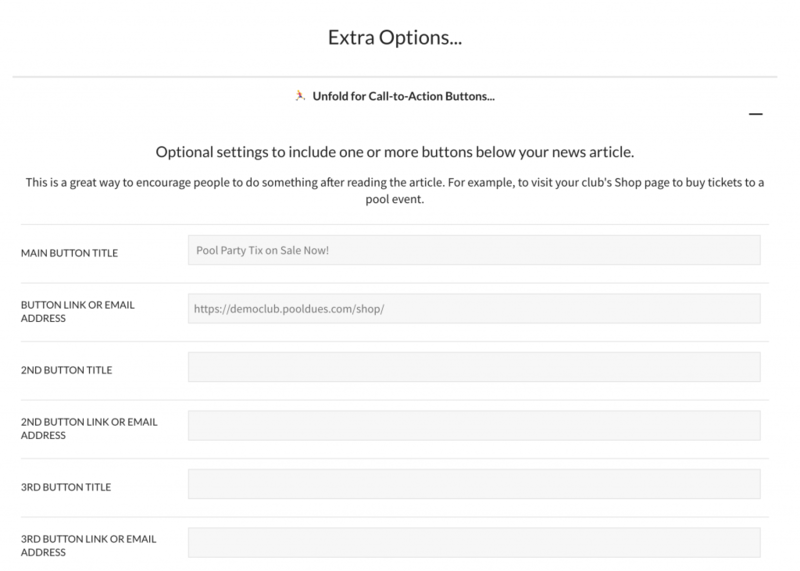 Other options include Call-to-Action buttons. These are links that encourage people to take action after they read about the social event – maybe you want to link them to the shop to buy a ticket. Finally, you can set up text about a fundraiser if your event is linked to one. 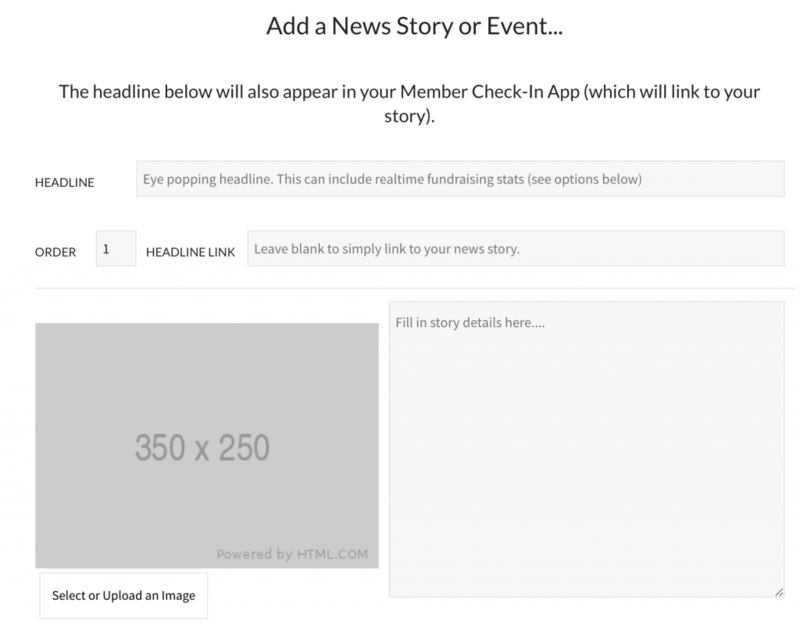 Whatever text you choose here will appear after the Headline Text for your event. How do I edit the social calendar? 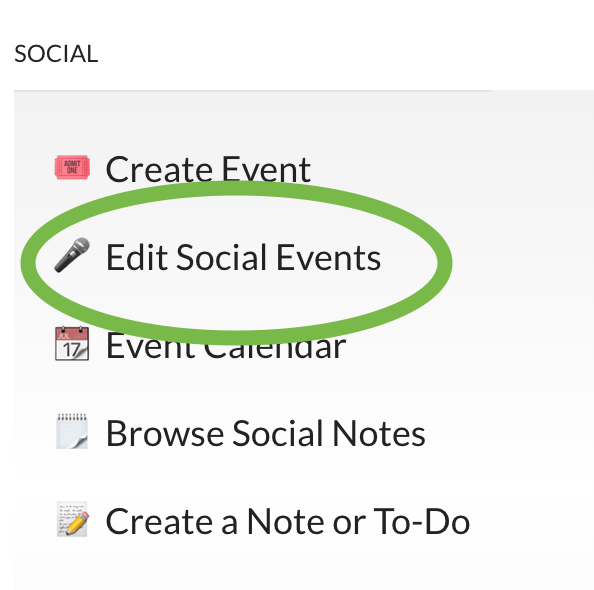 The social calendar automatically updates when you create a new social event. When you Create a Headline or News Item there is a pulldown menu for dates. When you choose your date and save the event, the social calendar will update. How do I get rid of events past events that I don’t want to show anymore? Use your Social Director Edit Social Events link to remove old events. 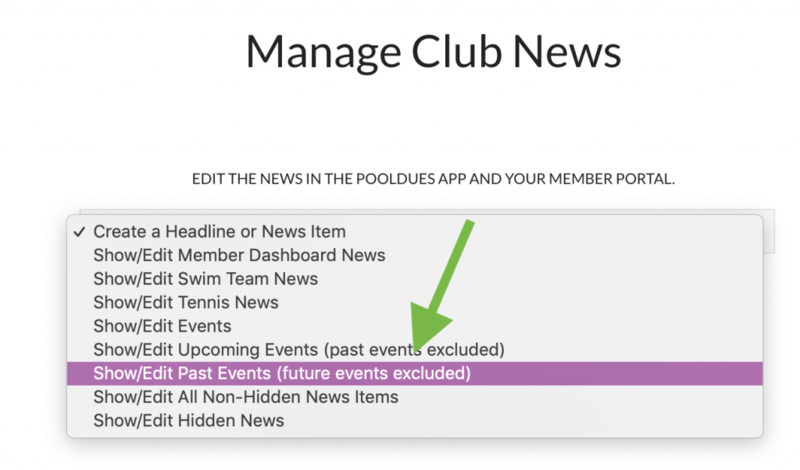 Clicking that link brings you to the Manage Club News page, where you can choose to Show/Edit Past Events. Hide from everyone. 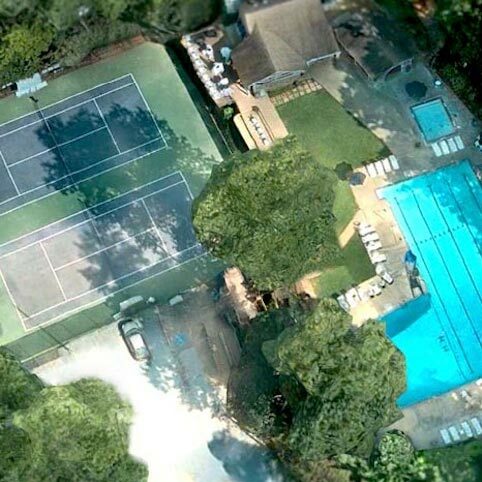 This is a useful option for events that occur year-to-year. It allows you to save the info from the event and re-use it the next year. Delete news item. Choosing this option removes the event from the website and it cannot be undone. How can I post all the photos I took at our last social event? 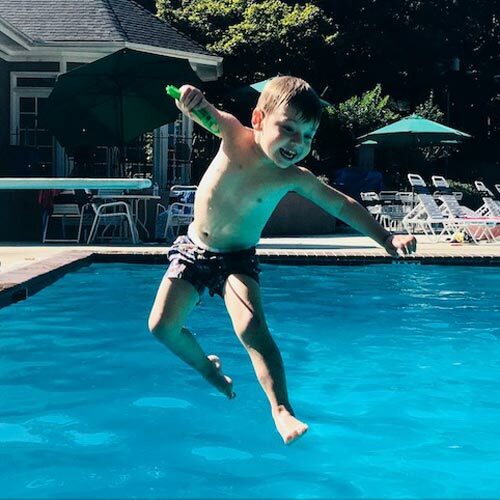 The cleanest way to do this is to embed a photo or video library into your post. 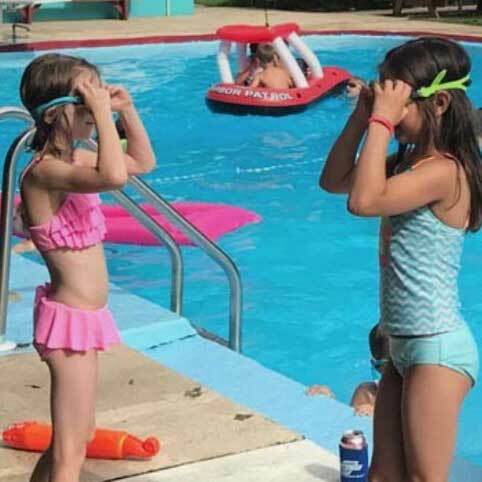 If you try to upload 100 photos, your post will just get way too messy. We suggest using a photo sharing site like Flickr or vimeo. 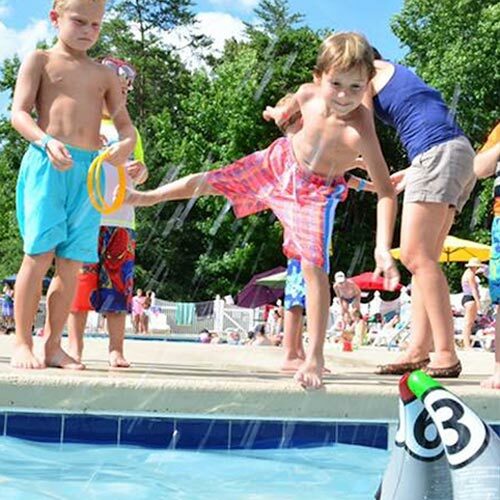 On these sites, you can create a photo album (or video album) that you can then embed in your Pool Dues post. 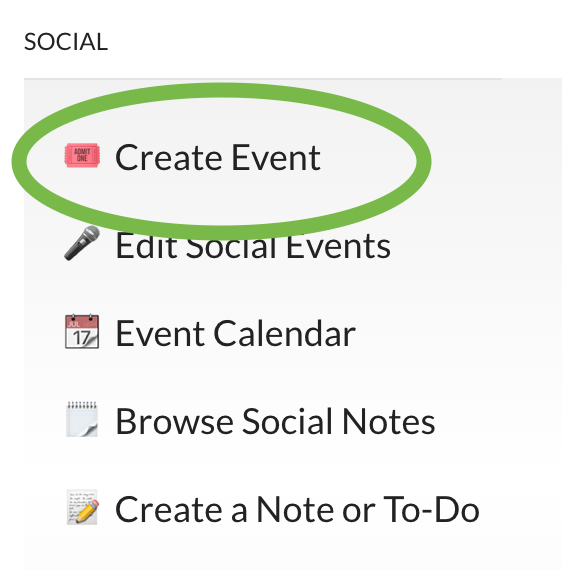 When you click on Create Event (or Edit Social Events) you get to the Manage Club News page. From the pull-down menu, choose Create a Headline or News Item. Once you’ve created a news item for your photo dump, you can paste in a Vimeo link, a YouTube link, or a Flickr iFrame embed code.